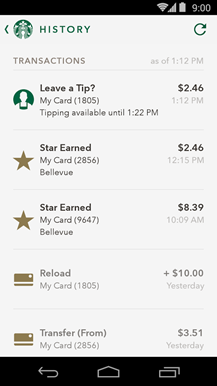 The tipping is handled in a surprisingly comprehensive manner. 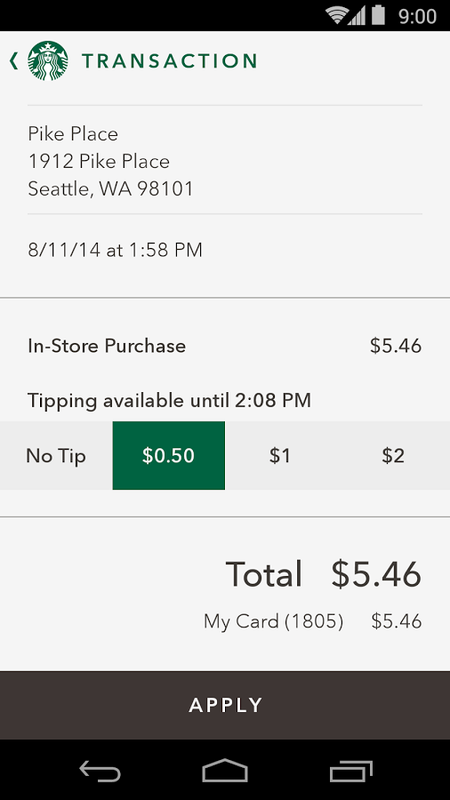 At any company owned store in the US, you can leave a tip for any order paid for with your card. 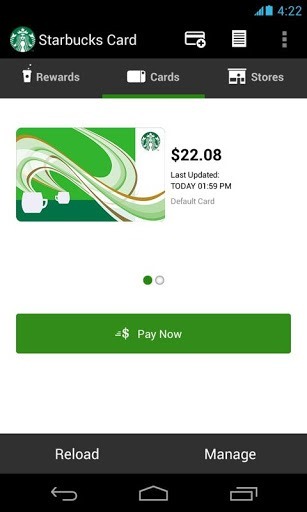 That's a big plus for people who don't regularly carry cash to drop in that little transparent bucket. 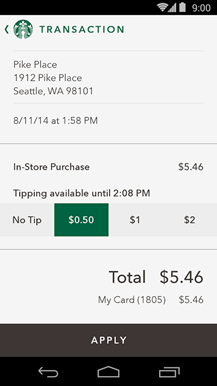 Tips can be applied as late as two hours after your purchase, and you'll be reminded to offer one after you pay. 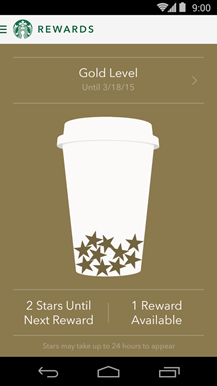 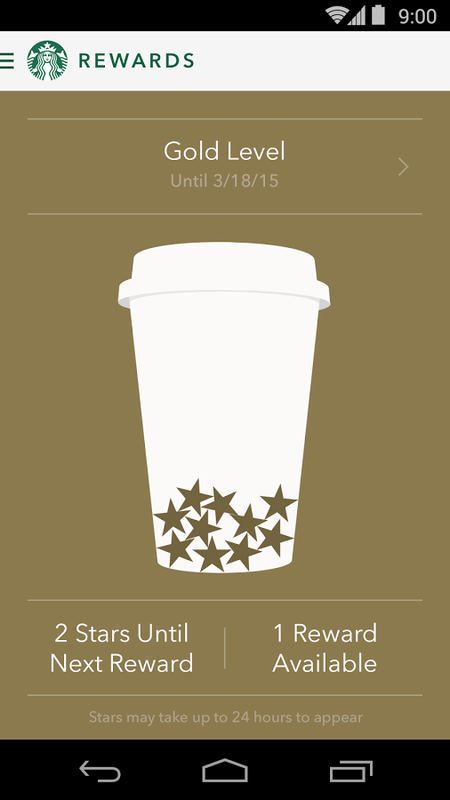 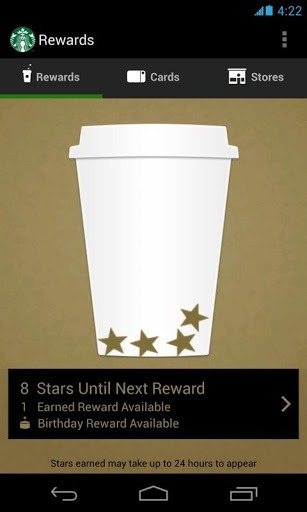 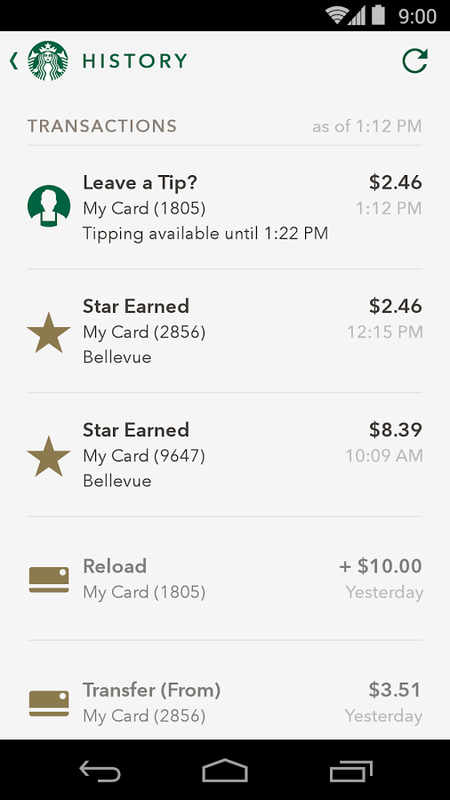 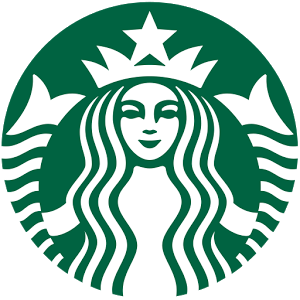 The new Payments screen will show you the rewards you've earned via the "gold stars" you get when feeding your Frappuccino addiction. There's also a Shake To Pay option, but honestly that's a bit gimmicky - it only shows you your default Starbucks card when the app is open. 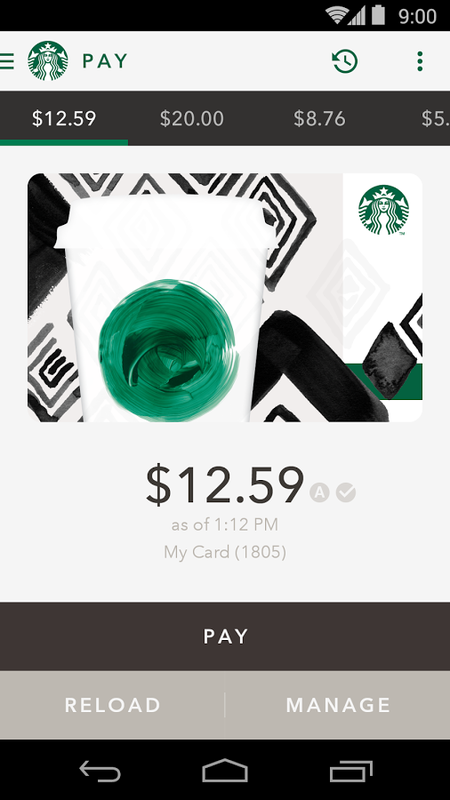 The other new addition is a homescreen widget, in case you can never bear to be more than one tap away from your favorite coffee icon. It shows the remaining balance of your main card and links to the rewards and maps page. 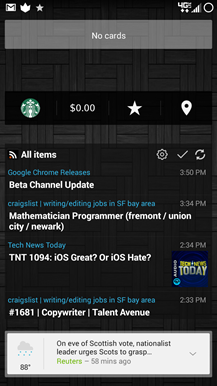 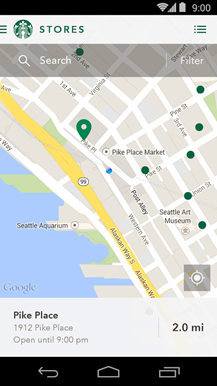 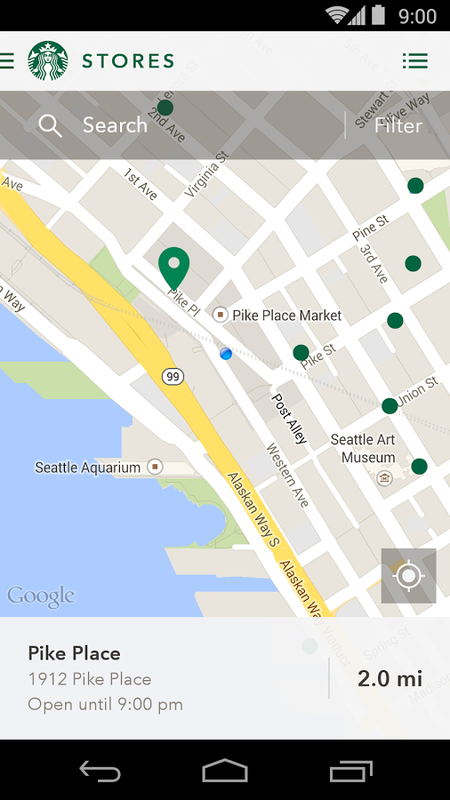 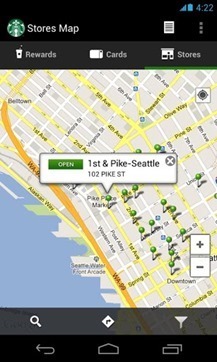 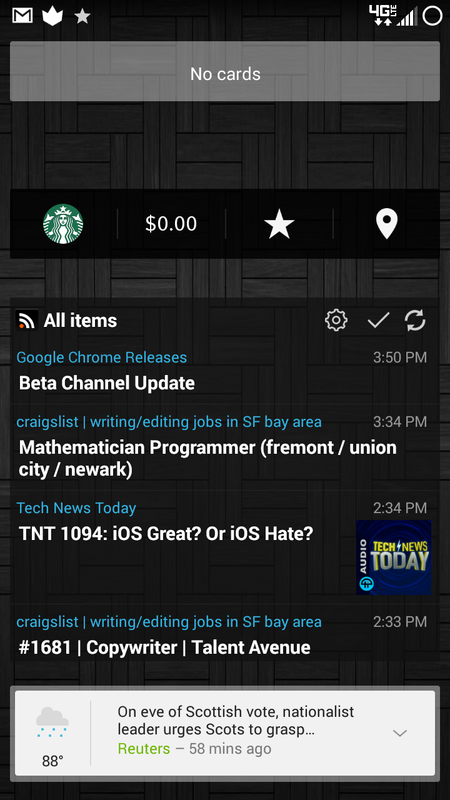 The app has been given a bit of a visual refresh as well, with a swanky new slide-out menu.